F/LIST is a globally active manufacturer of high-end interior for business and private jets, yachts and luxury residences with more than 750 employees worldwide. 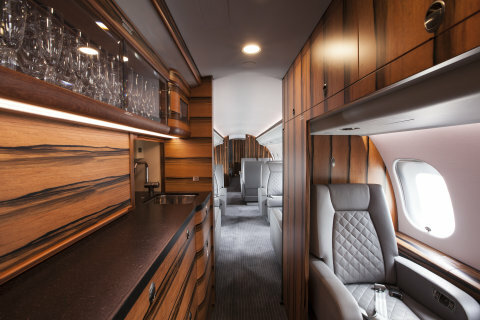 The Austrian-based family business with subsidiaries in Canada, Brazil, the United States and Germany has delivered more than 1,500 aircraft interiors for original equipment manufacturers such as Bombardier, Embraer and Pilatus. EASA Part 21G, 21J and 145 certifications allow F/LIST to cover the entire VIP cabin interior value chain starting from engineering over production to the final installation of interior components such as plug-and-play monuments, linings and floors as well as extensive aftermarket services including worldwide operating mobile repair teams. Together with Lufthansa Technik, F/LIST runs the 50:50 joint venture INAIRVATION. This entity combines Lufthansa Technik’s expertise in premium aircraft cabin conversions and in-flight Entertainment systems with F/LIST’s manufacturing process in top quality business jet interiors. Aircraft manufacturers, MROs and completion centers benefit from one turn-key supplier delivering the entire integrated aircraft cabin. 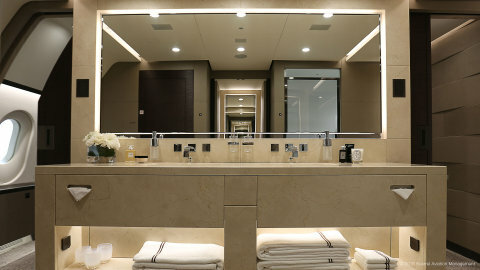 We develop and produce business and private jet cabin interiors to the most exacting standards, with more than 1,500 successfully delivered projects so far. Our customers benefit from a level of quality and precision that has made us one of the world’s most sought-after partners. Our range of services also includes engineering and certification, production, service and the testing of samples in our flammability laboratory. vanities, bar and table tops, shower walls, etc. Handrails, functional components, metal constructions, etc. Upholstery for cabin seating, divans, cockpit seats and liners, etc. 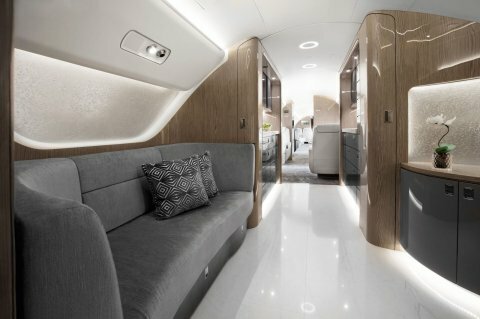 In the development and production of unique and custom interiors for cabins of narrow- & widebody aircraft, which we execute in close cooperation with the major completion centers in Europe and North America, we benefit from decades of experience in the yachting sector. In everything we do, our customers can place their reliance on our flexibility, punctuality and highest quality. on-board repairs of small damages through comprehensive refurbishments all the way to complete retrofits, we handle every necessary step – always with the premise of maintaining the shortest possible downtime. To download, just click on the links below.